Despite the improvement, the Black jobless rate is still double the unemployment rate of White workers, which has remained flat since February at 4.7 percent. 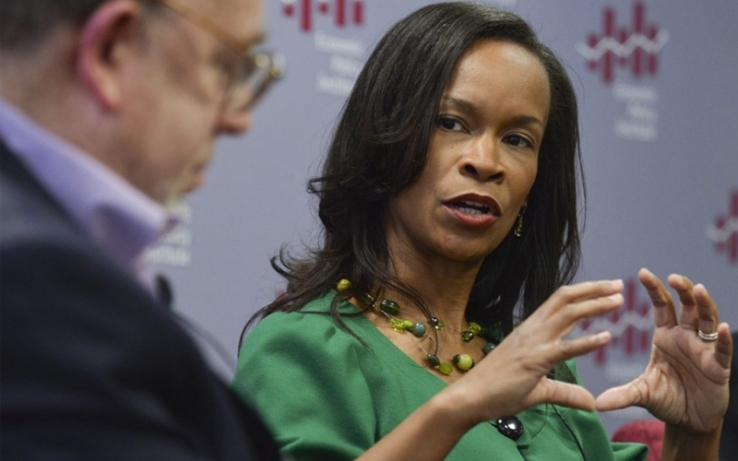 Valerie Wilson, the director of the Program on Race, Ethnicity, and the Economy at the Economic Policy Institute, a progressive think tank focused on low- and middle-income families, said that said that the gradual decline in the Black unemployment rate is the result of strong job growth over the past year. As the economic recovery in the United States continued its slow, uneven climb in April there were still clear disparities, even among adult Black workers. Wilson said that, since December, Black men have enjoyed most of the larger employment gains compared to Black women. The unemployment rate for Black men over 20 years old was 11 percent in December 2014 and 9.2 percent in April 2015, while the unemployment rate for Black women increased 0.6 percent over the same period. Since last April, the labor force participation rate, which is the share of the population that is either employed or looking for work, increased from 66.5 percent to 68.7 percent in April 2015 among Black men. The labor force rate for Black women only increased 0.7 percent since April 2014. Wilson said that a renewed focus on targeted jobs programs and infrastructure investments would enable the economy to get closer to full employment, but cuts to public sector employment, especially at the state and local levels, may prolong the sluggish recovery. According to the Center on Budget and Policy Priorities, a nonpartisan research and policy group that designs policies aimed at reducing poverty and inequality, the economy has shed nearly 570,000 government jobs, more than 360,000 jobs in local government alone, since February 2010. “The other part of that is that wage growth isn’t anything to cheer about,” said Wilson, adding that wage growth is still below any indication that the economy has really heated up. According to the Labor Department, average hourly earnings have only increased 2.2 percent since April 2014. This recovery is different, Wilson said, in part because there’s still a decent amount of slack in the labor market. The national unemployment rate was 5.4 percent in April down from 5.5 percent in March and the economy added 223,000 jobs in April for a three-month average of 191,000 jobs per month. In a recent blog post for EPI, Josh Bivens, the research and policy director at EPI, wrote that returning the labor market to pre-Great Recession levels is too unambitious a goal. “After all, 2007 could hardly be described as a year with the kind of high-pressure labor market that would boost wages across the board,” said Bivens. Follow Freddie Allen on Twitter at @freddieallenjr.